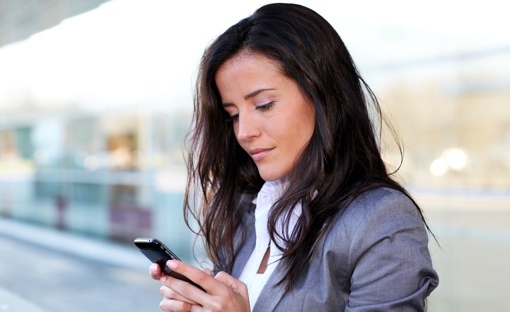 Personal assistants are no longer the domain of high-powered executives. Whether it's Google Now, Microsoft's Cortana or Apple's Siri, most of us have access to our own digital personal assistant on our smartphones and Windows 10 computers. These digital services may not have the human touch, but they are powerful predictive tools that can help you keep up with appointments, avoid traffic jams, personalize searches and even recommend songs to listen to. To do this, however, they need a little help from you. You need to provide them with input or allow them access to sources of personal info that they can use to intelligently suggest things for you to do or anticipate what you are about to do. The more info you provide, the better these assistants can guess what's on your mind. These are the five major sources of data that your digital personal assistant will use to provide you with personalized services and information. Note that you may need to enter your Settings to grant your assistant permission to access your data if you haven't already. All of the major personal assistant apps can remind you of appointments, but they'll need access to your Calendars to do so. Google Now and Apple's Siri both pull information from their company's respective Calendar apps, including events imported form other calendar services. Cortana uses only the events from the Windows Calendar app, even though it can import calendar data from other sources. Sharing your GPS location with Apple, Google and Microsoft may create some privacy concerns — after all, few of us actually like being targeted with location-based advertisements on our phones. Still, allowing these companies access to your location history will enable a wide range of useful features. Google Now, for example, pulls location data to suggest local places to visit, offer local greetings and conversational phrases, provide currency exchange rates and estimate travel times based on local traffic conditions. It also pulls location info from other Google apps that you use on your other devices. You can toggle Location History for your Google Account on and off as desired. As for Cortana, you will need to enable location history for it to work. When you use other Microsoft products on your other devices and you are logged in to your Microsoft account, those products may also send location info for Cortana to use in personalizing predictions, such as alerts that notify you when you’re in a certain place or traffic notices before you head out to your next appointment. While both Now and Cortana store your location in your cloud-based profile, Siri keeps your location info on your device. This means that the iPhone that you always have in your pocket will give more location-specific help than the iPad that you use only at home. The Apple website can show you how to enable and disable Location Services on your Apple devices. personalized news items, weather, traffic alerts and more. All three assistants analyze your email. Without any extra action from you, Google Now looks through your Gmail and tries to detect items that it can form suggestions or predictions for (e.g., tracking packages, flight information and details). It can also analyze messages imported into Gmail from other email services. Google Now is also fully cloud-based, so it’s truly mobile and portable. You won’t have to start from scratch when you switch phones or tablets. You will need to use Gmail, however. Cortana searches messages stored in the Mail app on Windows devices, including mail imported into Cortana from other services -- except messages that you read through the Web interface before your Windows device could download them. Cortana won’t be able to use such messages in the analysis, making Cortana device-specific in its use of email for suggestions and predictions. Like Cortana, Siri also uses email data (including imported messages) for its assistive predictions and suggestions. For instance, when you receive a calendar invite by email, Siri sets up a Calendar event for it and creates an event reminder that incorporates useful info such as traffic conditions. Both Google Now and Cortana remember your search terms and take them into account when offering predictions and suggestions to you. 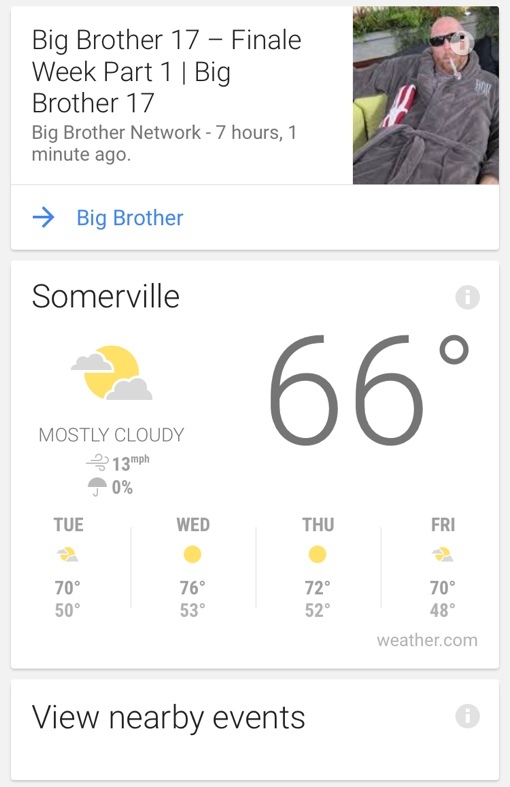 Search for information on the season premiere of Survivor, for example, and Google Now will remind you when the show is about to start. Google’s and Microsoft’s virtual assistants also consider your list of visited sites when they make predictions and suggestions. Google Now uses your Chrome browsing history, while Cortana uses your Edge browser history. You’ll need to be logged in to your account for these two to be able to factor in your browser history into their predictions and suggestions. Siri, however, turns a blind eye to your browsing history. Google Now also uses your past search data to suggest news stories you might be interested in, covering a wide range of topics. Cortana, meanwhile, expects you to spell out your preferences, looking at items you save in Cortana Notebook. Siri gets analyzable info from the new-in-iOS 9 News app. Among the three digital assistants, Google Now has the greatest ability to use data from third-party apps for its assistive predictions and suggestions. For instance, it can recommend music to listen to if you’ve been using YouTube, Spotify or Tunein. It will also remind you of your fitness goals if you use a fitness tracker and the Jawbone, Adidas or Runkeeper fitness apps. Siri also observes your phone and app usage to form suggestions. For instance, when you plug in your headphones, Siri may suggest your last-heard podcast or song from Apple Music. If you’ve upgraded to iOS 9, Siri will also suggest apps that you might want to use when you left-swipe on the home screen or pull down the Notification Center. Cortana does not seem to interact with info from third-party apps. My personal choice among the three is Google Now, especially since I use Google services. It gives me a fairly uniform experience across my Google-enabled devices. Google Now gives me suggestions and predictions that either Siri or Cortana can't. If you want to run Google Now on your Apple phone, you can access it through the Google app for Apple iOS. Which of these three digital assistants do you use? What makes it very helpful to you? How can it help you better? Let us know in the comments section.